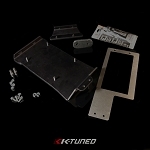 Applications: Fits oem DC5 RSX shifter boxes from K20A/A2/A3/Z1 engines. 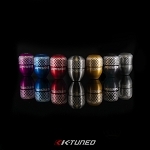 The K-Tuned Shifter Pivot Ball and Spring is a direct replacement for the sloppy oem unit. This is an extremely durable delrin pivot ball with much tighter clearances than stock. 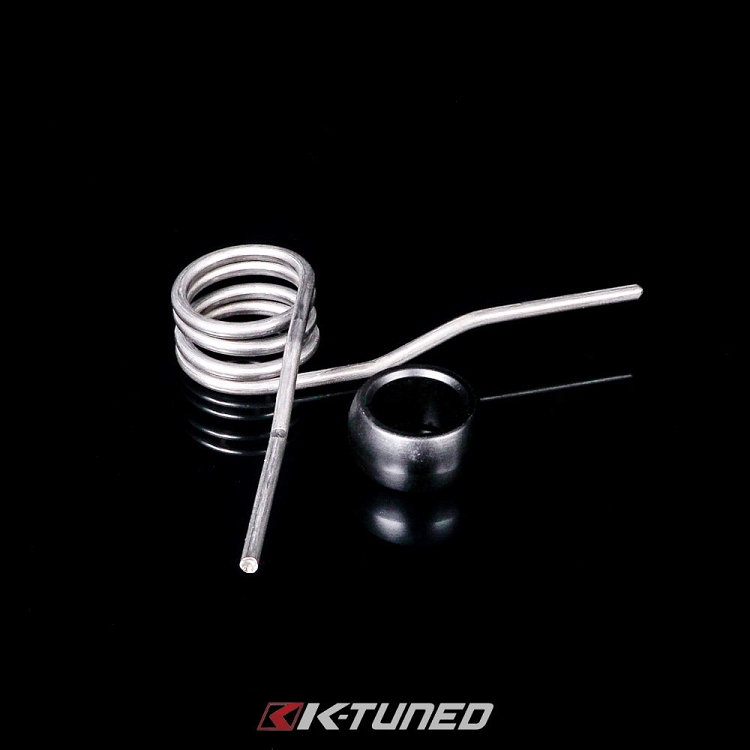 This kit includes a stiffer heat treated neutral return spring. These 2 combined parts help reduce the "play" or ñloosenessî that is a common complaint about the stock shifter box. 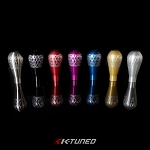 The result is a shifter with much improved shift accuracy and an overall ñcrisper feelî. This product will give the user increased confidence and reduce the chances of a dreaded ñmis-shiftî which can kill a motor in a matter of seconds. 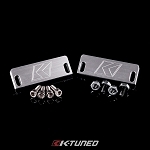 Designed to fit all oem shifter boxes from K20A/A2/A3 and Z1 engines. For even more superior shifter feedback, take a look at our Billet Shifter Arm.